In this episode of Hair Love Radio, Elizabeth tells a very personal story she has never talked about publicly. She shares how our relationship with money impacts every corner of our life, and why it is so important to untangle and understand your own money story so you can be more productive, have more joy, and experience more abundance in your life and business. This episode was brought to you by Elite Beauty Society. Elite Beauty Society offers affordable all inclusive liability insurance. You know how big I am on boss babes being smart about their business and money. Whether you are working in your own salon suite, rented space, or as an employee, you can get covered for a with Elite Beauty Society by using code “ELIZABETH”. This code ALSO gets you 20% off your insurance plan! Elizabeth remembers the day she realized how deeply tied her money mindset was tied to her childhood. She had just gotten back from a conference, was feeling so high on the energy that conferences and retreats provide. She was in her mom’s kitchen, sharing how incredible the weekend was, and took a moment to look around the kitchen. Elizabeth says she did not grow up around wealth and abundance. She grew up in a one-bathroom house in Las Vegas in a rough area. Her family still lives in that house. After reflecting on her beginnings, she says she realized that the story she was taught about money was that money was hard, money sucked, and that money was a barrier. She says that the lack of money drove everything that happened (or didn’t happen) in her household growing up. After growing up with this story, Elizabeth says she eventually came to resent money and the stress it caused. 7:00 - Is Your Drive Coming From A Healthy Place? Fast forward to sixteen years old, Elizabeth says she was a high school dropout, working at a salon in Las Vegas for nothing except tips. She remembers how incredibly driven she was during that phase of life, she was the best assistant, she was the best at sweeping hair and giving blowdries. However, Elizabeth says that this hard work and hunger to escape her family’s financial situation was not coming from a healthy place. She was putting in hours, working hard, and using her energy out of a scarcity mindset. She says she was acting out of fear and not wanting to live her life like that any longer. Elizabeth says she continued to function that way for a long time. And although a lot of good and bad came out of it, it’s so important as you get older to be able to ask yourself why you do the things to do, and understand the reasons behind your actions. Elizabeth says that it eventually became necessary to address her money mindset because she became a workaholic. She says that she placed so much self-value in her ability to work hard, that it started to consume her life. Initially when she heard that, she remembers writing it off as a mean comment and ignoring his advice. But in that moment in her mom’s kitchen, she understood what he was trying to communicate. Because of the pain Elizabeth says she experienced during her life, she attached her identity to being a workaholic. Elizabeth said that all of the pain and struggle her family went through, the exhausting hours and addiction to work that she went through, wasn’t in vain. 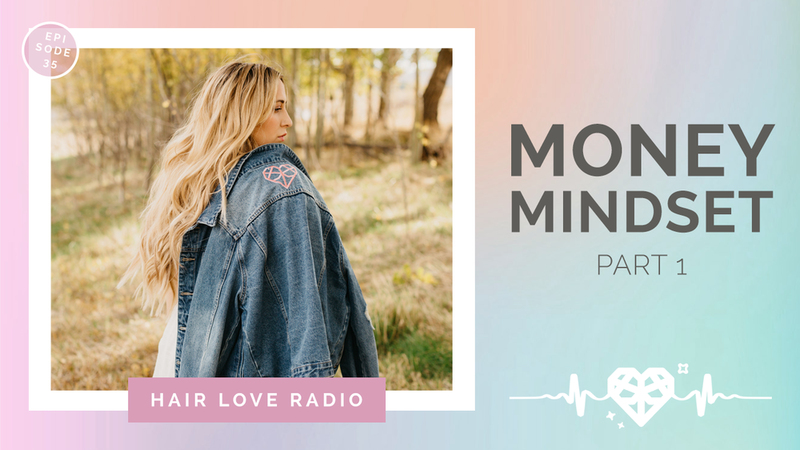 Her experiences helped her create the most important WHY that would later become the driving force behind Workshop In A Box, Hair Love Retreat, and even this podcast. Your relationship with money is in direct alignment with your success, joy, and the way you handle things in your business. Not only is it important to unravel that for yourself, but it’s important to stand with it and own it as part of your story. It might be uncomfortable to figure out your relationship with money, but it will be worth it and you will be happier, more fulfilled, and less stressed. Click here to join Elizabeth’s FREE year-long program called Hey Happy Life. Learn more about Workshop In A Box here.